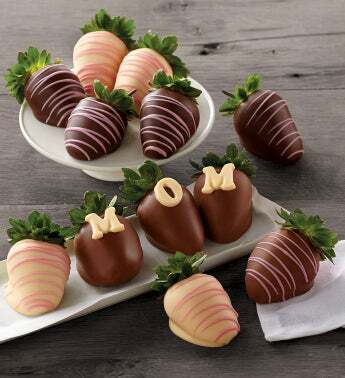 Chocolate-covered strawberries make for a delicious and visually striking Mother's Day gift that she won't soon forget. Each berry is carefully dipped by hand, ensuring that it's cloaked in a rich shell of pure milk, white, or dark Belgian chocolate. Playfully decorated, these chocolate-dipped strawberries are a decadent pleasure.